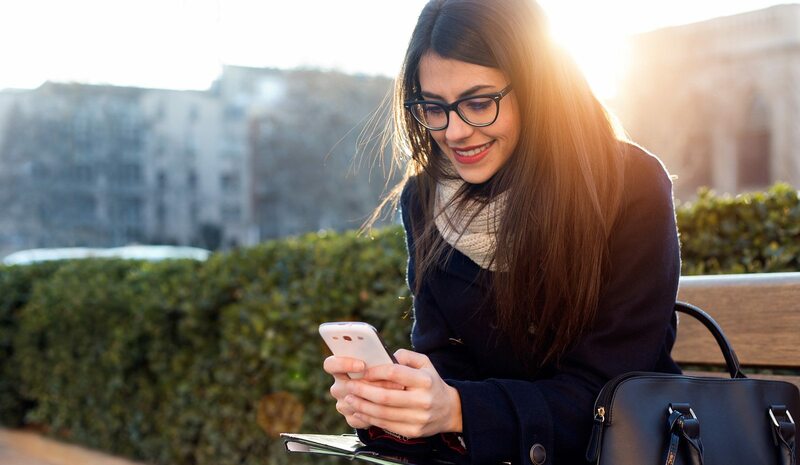 Facebook Messenger Ads are making it easier to communicate directly with your target audience, giving you the ability to connect and build relationships with your customers! When clicked, these ads direct people to a conversation with you or a bot straight from the ad to Messenger. 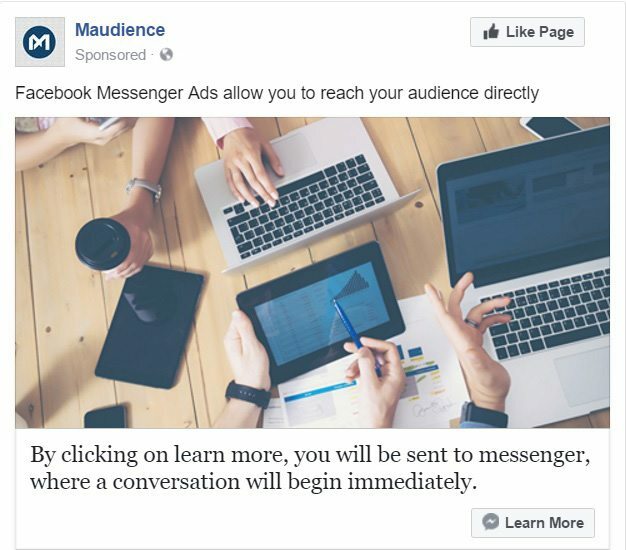 For desktop users, a Facebook message box automatically pops up when the ad is clicked, while mobile users will be directed to the messenger app. Facebook Messenger Ads do not appear to users on mobile who do not have the messenger app. With Messenger ads you can engage in conversation, answer questions and nurture leads directly from your Facebook ad. There are two types of Facebook Messenger ads. The Destination Ad works to direct people to a conversation with you via Messenger, while Placement Ads allow you to continue the conversation with people you have already connected with. We delve a little deeper into each of these types of ads below. Destination Ads allow you to reach anyone on Facebook with the option to start a conversation with you. These are the ads, such as above, that show up in your Newsfeed. The call to action directs people who click on it to Messenger, thus making it the ad’s final destination. This type of Messenger ad works well to target recent customers as a way to follow up and answer questions. It’s also a great way to retarget potential customers, who might have visited your site but did not make a purchase. Giving people the option to ask questions or give feedback, and get a quick response, will work to build relationships with current customers and give potential customers the confidence to trust your product. The personalized touch of a conversation on Messenger can make all the difference in a buying decision. The second type of Facebook Messenger Ad is the placement ad. Placement ads allow you to send messages to customers and people who have messaged you before. These ads target people you already have a connection with and work very similarly to an email list. Facebook Messenger ads are not intrusive at all. Destination ads start with the ad and only users, not marketers, can create dialogue. Placement ads are sent only to those who have contacted you before via Messenger, and are therefore much more likely to be interested in your offer or announcement. Contact us to discover what Facebook Messenger Ads could do for you! 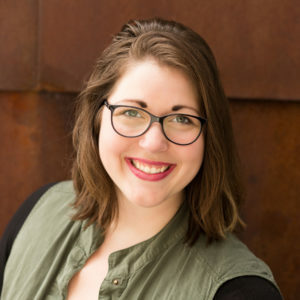 Allyson, known to most as Ally, is a content creation guru for your brand. Specializing in creating content for social media, blogs, websites and other avenues of communication, Ally has a unique knack for grabbing your customers’ attention. In addition to content creation, she serves as a Project Manager for your content schedule. Ally has worked for businesses of various sizes, and she holds a Bachelors in Language, Writing and Business. Get the latest updates from Maudience. Subscribe to our newsletter. Is My Business Right for E-commerce?